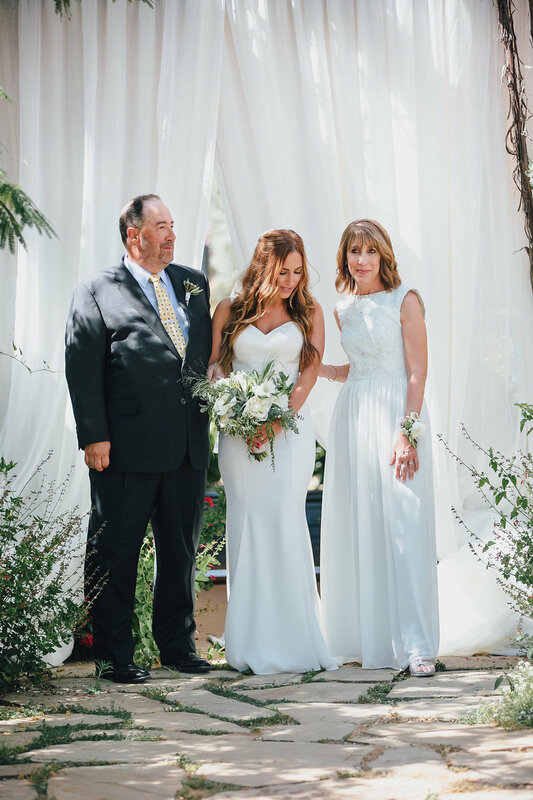 What a spectacular wedding held at a private Ojai estate designed and planned by Onyx + Redwood. All was perfectly beautiful and the decor really celebrated the local terrain with succulents in architectural vases along with luscious table arrangements made by Precious and Blooming. The bride wore a white gown, with a sheer back and a simple veil. The groom wore a navy blue suit and matching tie, with a unique boutonniere crafted out of succulents. The bride and groom didn't want to have their special day without including their little pup, who they carried with them once they said "I do" down the aisle. The reception tables alternated between rustic, wooden tables and tables covered in neutral-colored linens from La Tavola Fine Linen. Simple white plates as well as bowls and utensils were found at each place setting from Town and Country. Urban Palate LA catered the event with delectable bite-size appetizers during a cocktail hour and then dinner for the couple and their guests. 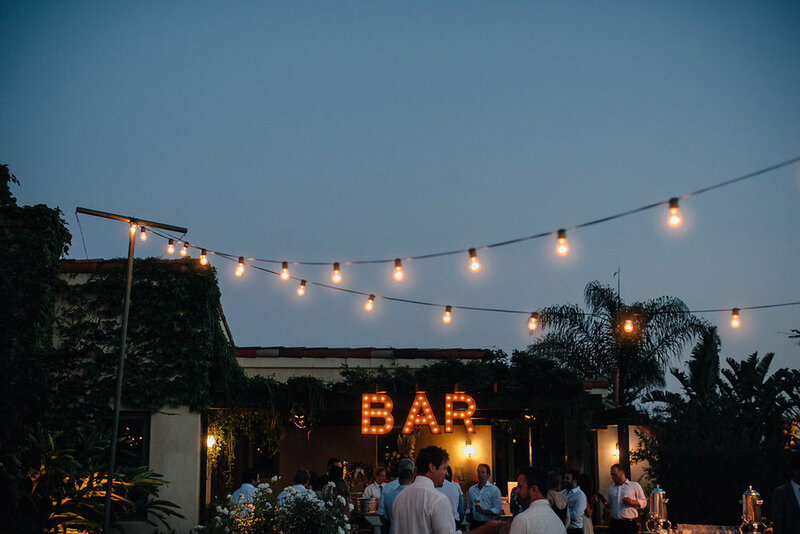 Market lights were strung overhead by Bella Vista Designs which were turned on as soon as dusk approached to create magical space for this special day. Dart Collective entertained the guests throughout the event and really got the guests out of their seats as the evening unfolded. 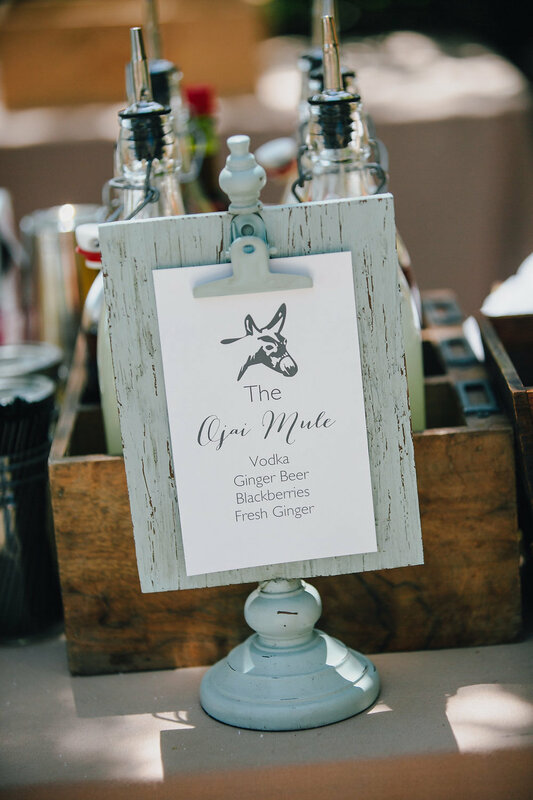 This fabulous wedding was photographed by the talented Marble Rye Photography and Elli Lauren Photo. Beyond the Wedding Cake - Life is Sweet, Dessert First!